LIVERY SPACE AVAILABLE. IF YOU ARE INTERESTED OR WOULD LIKE TO BE ADDED TO OUR WAITING LIST PLEASE CONTACT US VIA THIS WEBSITE OR DIRECT BY PHONE. 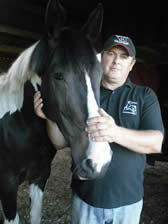 Ross Dhu Equestrian Ltd is the base for Morag Higgins, and Mark Higgins. 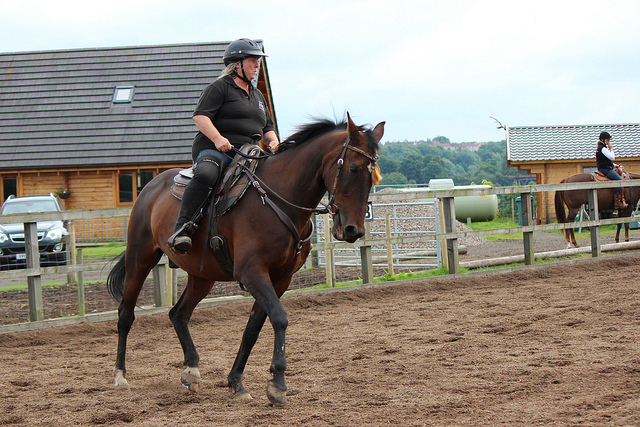 Ross Dhu’s yard offers stunning livery facilities for horses and owners alike. Livery clients enjoy use of the newly constructed indoor arena, outdoor arena, hot wash facilities, solarium, client room to name only a few of the facilities. With breathtaking hacks in the surrounding countryside of Chatelherault, Hamilton on our doorstep you never need to worry about traffic. 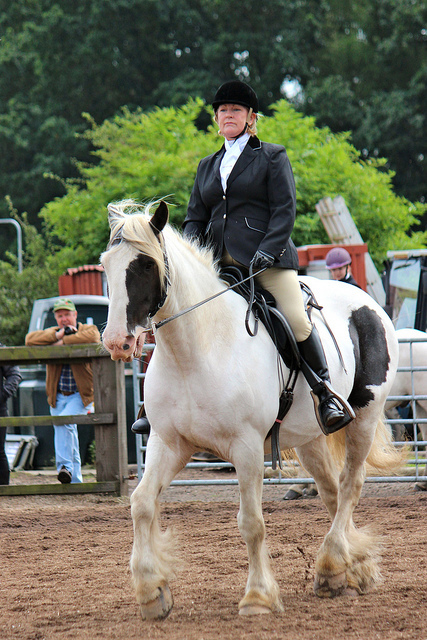 Morag and Mark Higgins have developed their own system of training building on those techniques, principles and teachings of horse care as pioneered by Mark Rashid. 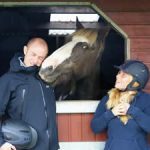 Mark and Morag work closely together on building the bonds of trust between horses and owners and training apprentices and students in their Government Recognised Equestrian Qualification System Equido. They run clinics across the country and are available for group and private lessons. MARK RASHID COMING BACK TO SCOTLAND! 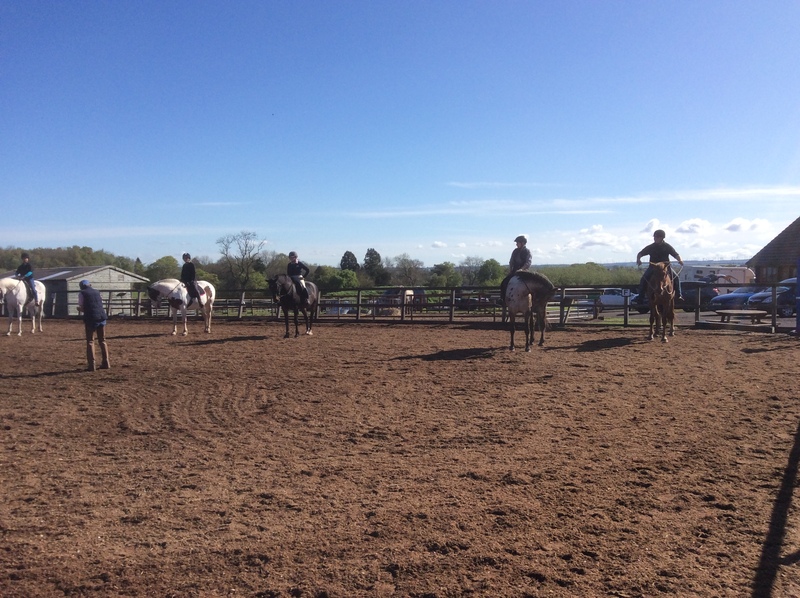 Mark Rashid will be returning to hold a three day Aibado clinic hosted by Ross Dhu Equestrian Ltd and held in the village of Quarter, just outside of Hamilton. 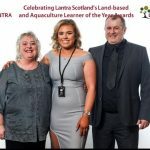 ANOTHER ROSS DHU EQUESTRIAN LTD INTERN HAS WON THE LANTRA LEARNER OF THE YEAR AWARD! Aimee MacRae was the winner of this prestigious award for 2018. 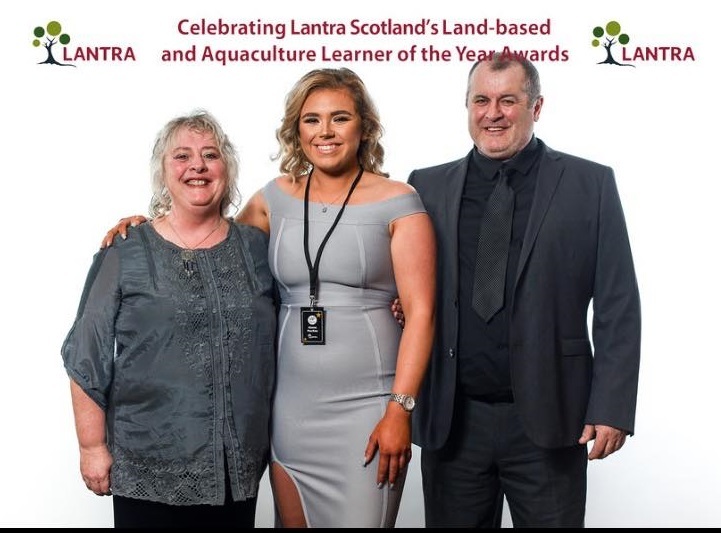 She follows in the footsteps of Laura Manby who won in 2017 giving Ross Dhu Equestrian Ltd winners for two consecutive years. Well done Aimee, you really deserved this! Our Show and Clinic Schedule is now available! Please check out our Calendar for dates, something exciting happening every month over the course of the year, don’t miss out! Our Summer Show is open to everyone with Trophies for first place and beautiful rosettes up to sixth place. Application forms (where applicable) will be added as soon as possible. 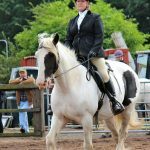 Due to popular demand we have another two day clinic with the fabulous Scherie Dermody which will be held here at Ross Dhu in 2019 on Saturday 11th May and Sunday 12th May, Saturday 17th August and Sunday 18th August. Please go to the events calendar for details and to book your place. A short documentary exploring the uses of Natural Horsemanship across Europe. I travelled to Scotland, Germany and France to meet Morag Higgins, Toril Strooper and Linda Overlaet who all share something in common. Here is their story. Thank you to everyone involved and all who helped make this happen! 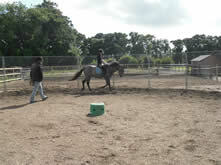 We will be posting regular blogs to both scottishhorsehelp.co.uk and equidohorsemanship.co.uk. Click here to visit our blog. 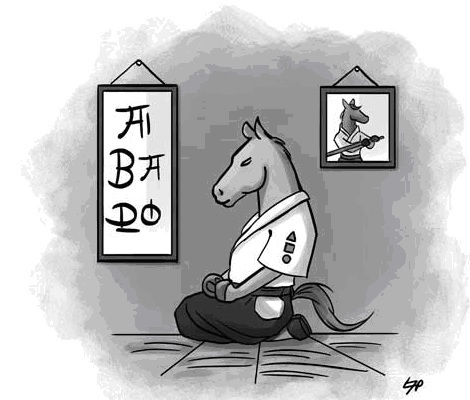 DO YOU USE OR WANT TO USE HORSES IN YOUR WORK AS A THERAPIST, TEACHER OR COACH? 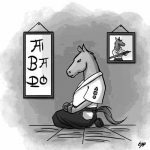 WOULD YOU LIKE TO SHARE YOUR LOVE OR HORSES WITH OTHERS AND HELP PEOPLE DEVELOP AT THE SAME TIME? DO YOU WISH TO BOOK A THERAPY COURSE FOR YOUR SCHOOL, CHILD? CLICK HERE FOR MORE DETAILS. We are now taking bookings for training dates this year. We offer a comprehensive service from backing to working with remedial problems. If you are looking for help or assistance please contact us for more details. 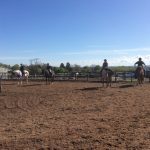 We encourage the owners to be in attendance as much as possible to develop a closer bond with their horse and as many session as possible are filmed. Please hurry as dates are limited. We are pleased to now be able to offer a private, personal training program specifically tailored to your individual goals and needs. One of our Equido Trainers will be able to visit you at your own yard and work with you towards your goals. For further information please contact us. Looking for something for the person that has everything? Why not purchase one of our GIFT VOUCHERS? WHAT IS BACK OUT THERE? We are a social enterprise established by British service personnel to give those that have served their country the opportunity to continue serving. 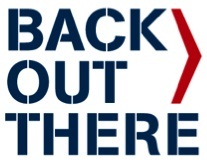 We work with veterans and other professionals using their inspirational skills to help less fortunate people within our society to get their life back, and to achieve a renewed and reinvigorated purpose. Our longer term aim is to use the leadership and training skills of our inspirational people for the betterment of less fortunate or marginalised groups within society and to enhance leadership and moral decision making in other organisations. Click here to find out more about our range of books. We are delighted to host another amazing training course by this fabulous Dressage Judge and Trainer. Scherie has competed to high level in both classical dressage, jumping and eventing and brings an amazing wealth of knowledge and experience to her teaching. This is a two day course with spaces limited to 10 riders. There will be two sets of four riders in the morning and two sets of four riders in the afternoon. Each set will last 1.5hrs, you will have a total of 3hrs riding split between the two days . We are able to offer paddocks or stabling for external riders so you don’t need to travel. 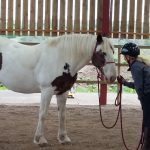 This course is offered at a discount fee of £80 per rider for the two days. Remember spaces are limited to get your slot booked now. A non-refundable deposit of £40 is required. Spaces filling fast, get yourself booked today! 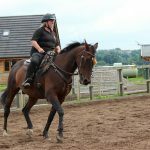 Another great opportunity to get you and your horse fit for work! 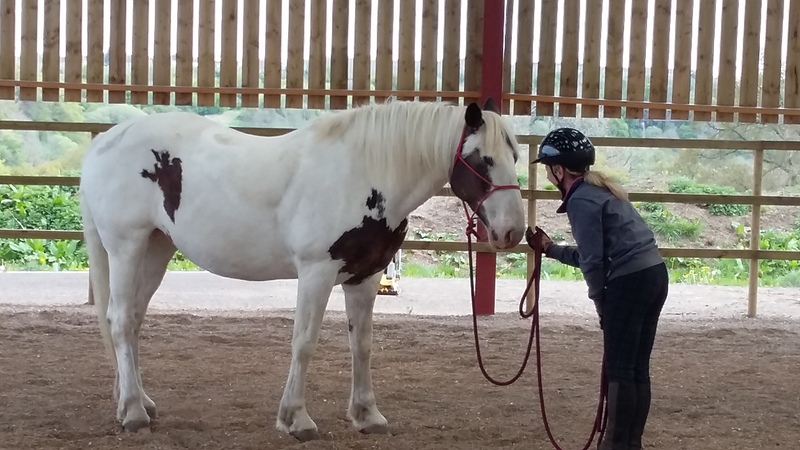 Three of our Equido instructors will be available to assist you with any issues ridden or in hand that you may be having and help you and your horse progress towards your goals.